Apparently Team Bondi isn't the only studio Down Under that's got some problems with its working conditions. Gameloft's got a reputation for some quality casual games across a variety of platforms. That said, it's also earning a reputation for being a crummy place to work, thanks to some new allegations that have been leveled against its studio in Auckland, New Zealand. Based on claims from a former head programmer, the hours were insane and conditions were unbearable. "Some weeks I was workÂ­ing 100 to 120 hours a week," Watson said. "Starting at 9:30, going home at 2:30 [the following day], and then comÂ­ing back into the office at 8:30 to start work again was not unusual." "There were other times when I would be called back into the office at 23:30 by the studio producer, only to head home again at 2:30. It was after I worked four consecutive weeks of fourteen-hour days - including weekends - that I realised I needed to resign." Apparently the straw that broke Watson's back, though, came after he resigned from the company: "Gameloft asked me to 'apologise' for leaving the studio and shouldering others with the burden of my work. I feel the best apology I can give is to ensure that they never get put through the same rubbish conditions again." Watson's claims are being confirmed by a number of other employees, and "seemingly authentic" email conversations are on record that document Watson discussing the long hours with senior management. The management reportedly claimed that the insane time requirements were in accordance with employee contracts. Honestly, the Auckland office sounds like it has a ton of issues at present, including an uncertain future. 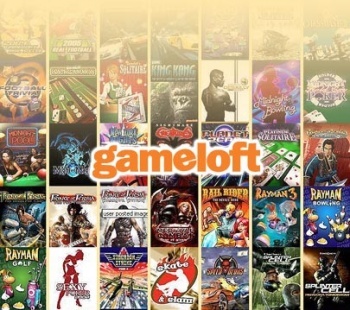 Aside from these problems with work conditions, a hiring recruiter spoke to games.on.net and reported that there's a hiring freeze in Auckland and Gameloft is working on setting up a new studio over in Brisbane, Australia.